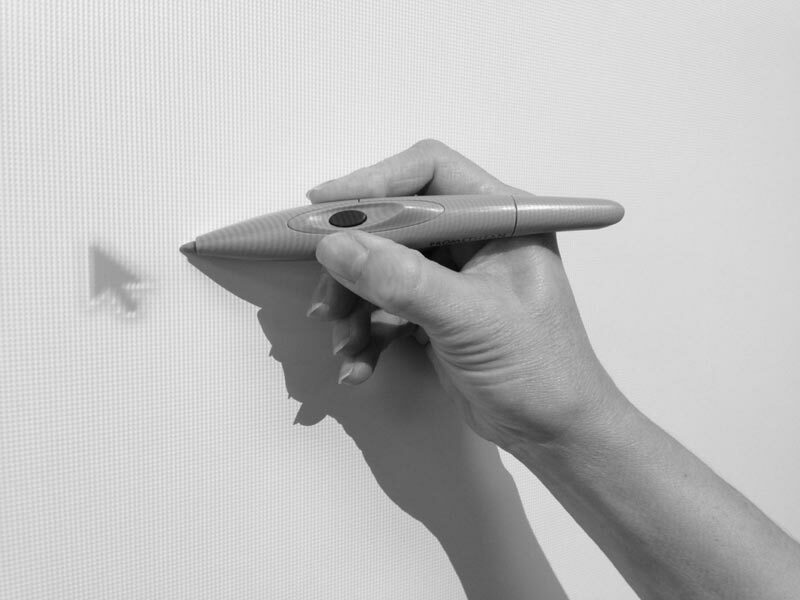 If you touch the Promethean Pen to the board and see that the pen tip does not align with the arrow, the board needs to be calibrated. You can start the calibration process either from the board or using the software on your computer. From the board is faster, so let’s start there first! 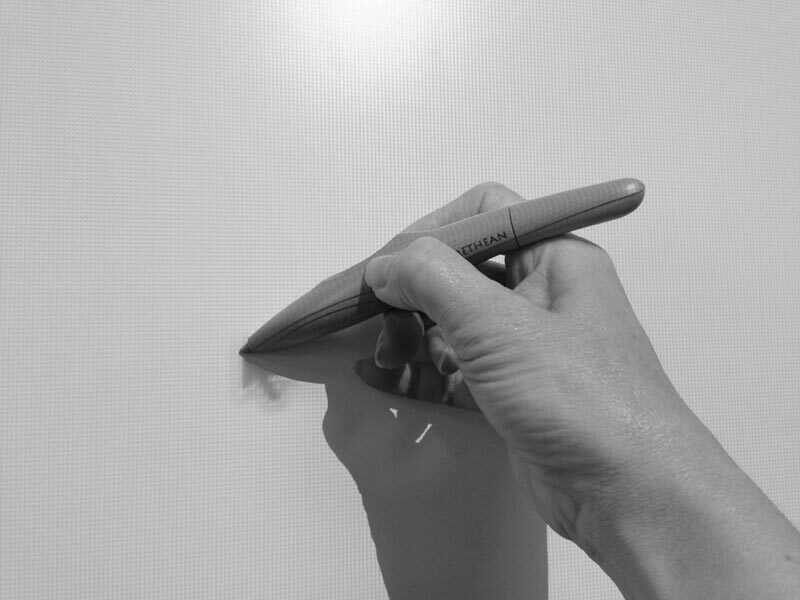 To initiate the calibration screen, HOVER the pen above the flame in the upper left corner of the board. Follow the onscreen directions. A series of crosses will appear on screen. Touch the stylus to the center of each cross to calibrate. The pen tip will now be aligned after calibration. 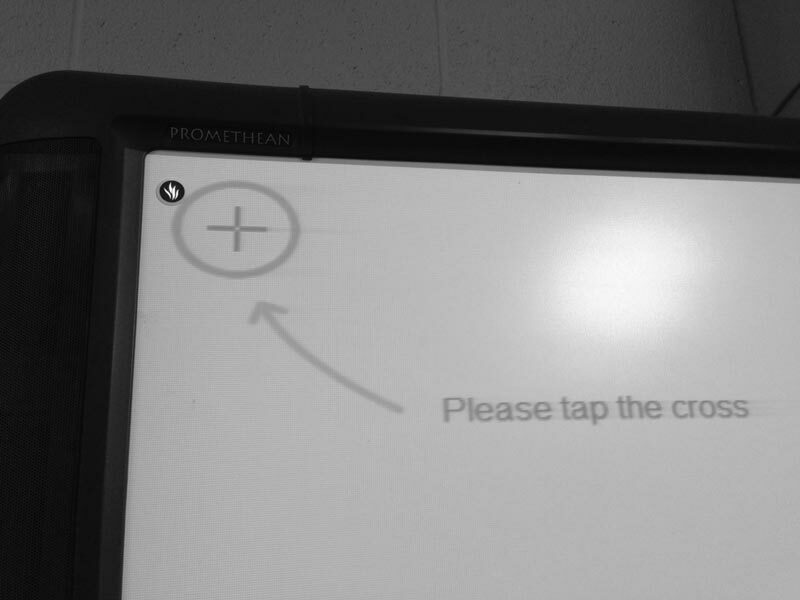 Calibrating the Promethean Board can also be done using the computer software. Select the triangle on the bottom right of the taskbar of a PC. 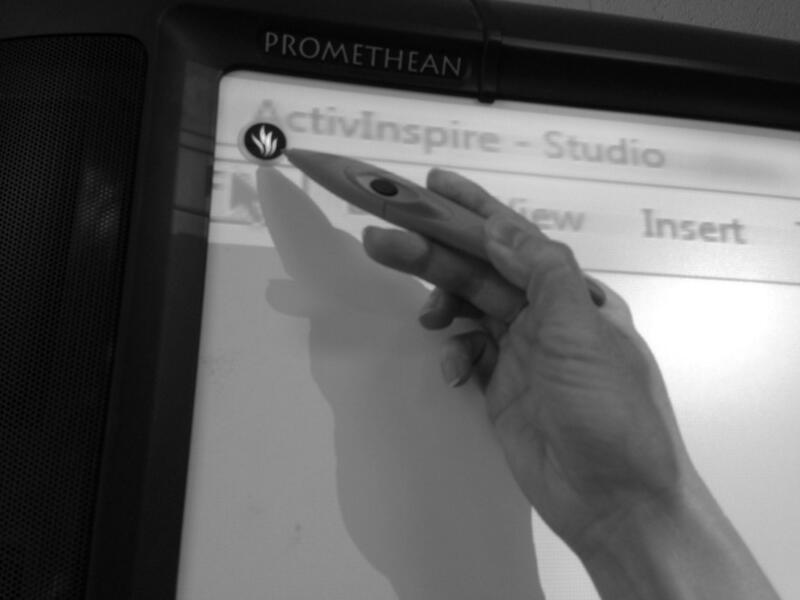 Calibration points will appear on your Promethean Board. Be sure to follow the on screen directions. Did you ever get this worked out? I am having the same issue. I can not calibrate at the board and I have not Promethean Icon (Windows 10). Hi. What if you don’t have the “Prometheon Icon – PC” in your taskbar? Sometimes certain computers do not have them. And I can’t seem to find the actual .exe that would start this program. Thanks! Lucas – not sure if we can help you with your question. You may want to reach out to your local Promethean Support folks or go to https://www.prometheanworld.com/ and ask your question there.